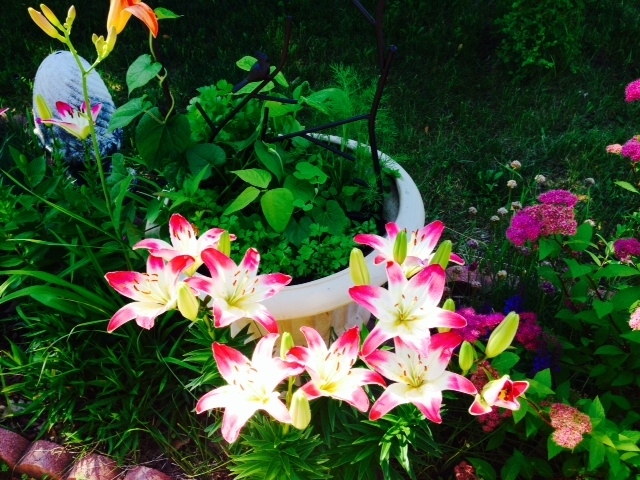 It is mid-July and this week my goal is to be mindful of stopping to appreciate my time off for the summer. With thirteen years of teaching under my belt I know how important it is to refuel and recharge for the upcoming school year. It is easy to let time slip between our fingers and I commit to facing each of my days with intention. My husband and I spent the weekend in my hometown of Crystal Falls, Michigan for my 25th high school class reunion. 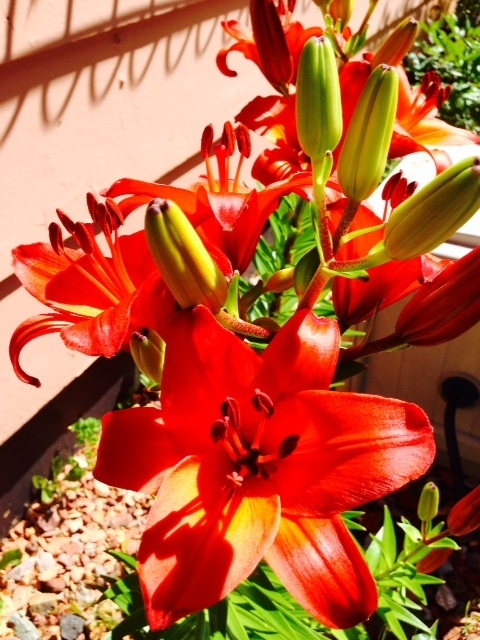 When we got home I was greeted with new blooms in my garden. 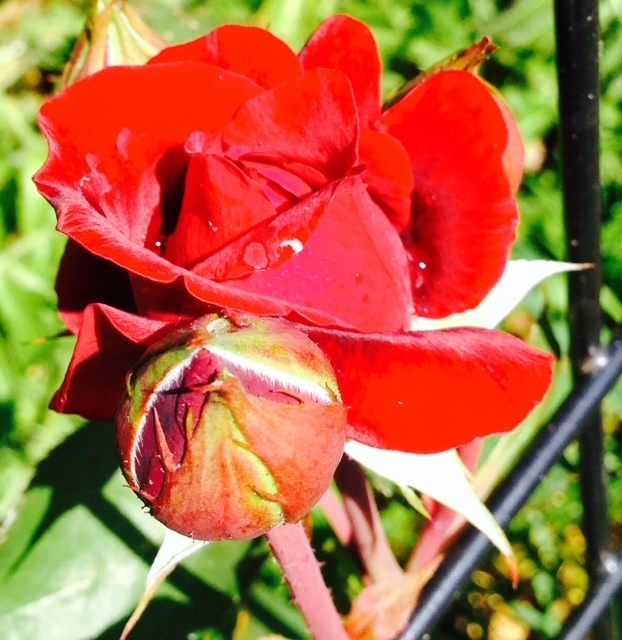 Flowers feel like poems to me because they force me to slow down and savor the world. 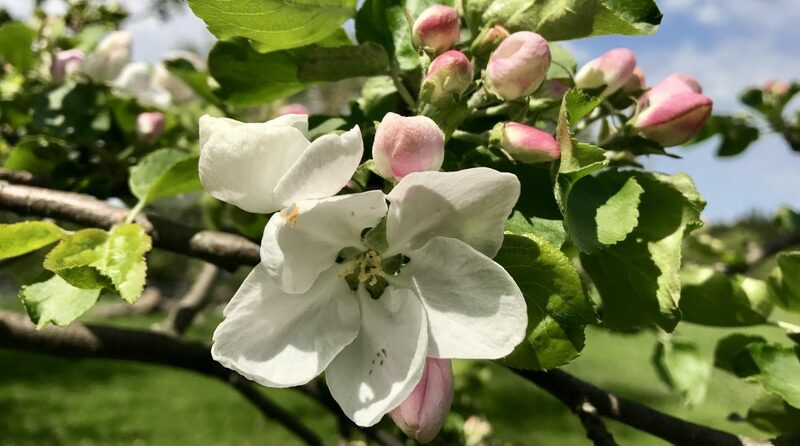 I examine the sunshine filtering through the trees, the breeze, the damp soil, and the flowers’ bright petals make the sky even seem more blue. I love when I get comments and emails about my blog and I have received several in the last couple weeks about my green smoothies. 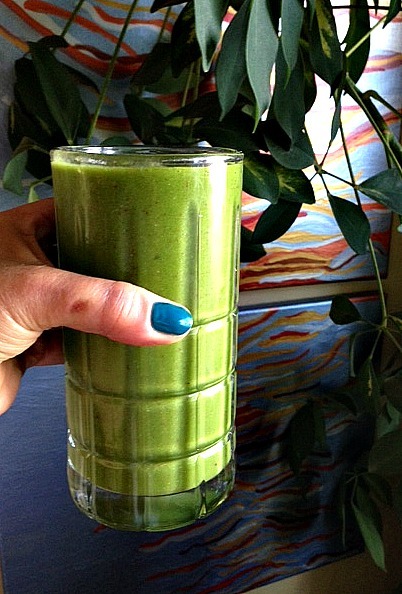 It is always wonderful when I hear from readers that try, and enjoy, their first green smoothie. I have found that most people try one sip and they are hooked. One of my friends suggested that I do a green smoothie challenge in August with recipes and printable shopping lists like I did in December and January. I have decided that if there is enough interest that I will. 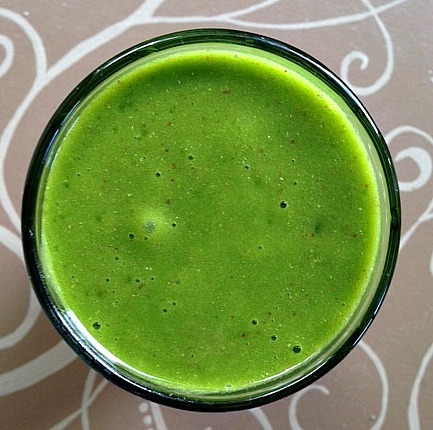 Read about my winter green smoothie challenge HERE. Today I thought I would share the green smoothie that I enjoyed for breakfast this morning. 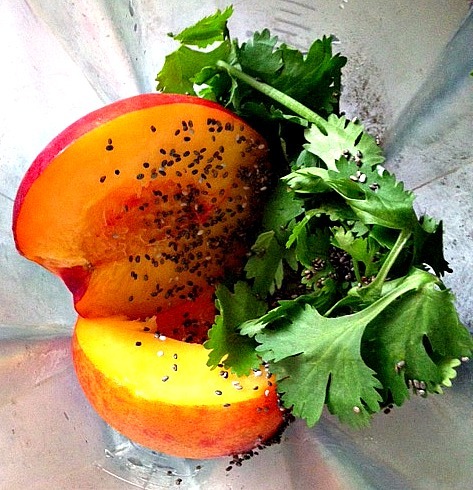 Nectarines are one of my favorite fruits (second to cherries) and I love the combination of fresh ginger and cilantro with the sweetness of the nectarine. If you have not tried cilantro in your smoothie you have to add some. It adds a refreshing zing and has a lot of health properties (including detoxification of the body). When I first started drinking green smoothies I added a frozen banana to each drink for sweetness but I find that I do not have to add the banana when I use fresh nectarines or peaches since their sugar content is so high. The texture of this smoothie is lush and smooth and I hope that you enjoy it! Blend well and enjoy! Fresh lime juice and zest would be a wonderful addition to this smoothie but I did not have any on hand. If you want to participate in a green smoothie challenge in August, leave a comment or send me an email or message on my Facebook page. I would love to come up with recipes that take advantage of the abundance of summer fruit and greens. If you enjoy nectarines as much as I do, make sure you check-out my last recipe: Cherry BBQ Salad with Nectarine, Sweet Potato, Basil, & Tempeh. Please make sure you sign up for email updates of my posts, and follow my posts on Pinterest, Tumblr, Instagram, and Twitter. Stay tuned because the next recipe that I post will be a healthy indulgence. It is a plant-based substitute for a milk-shake that combines chocolate, fresh mint, and coconut – and I promise that it is as spectacular as it sounds. 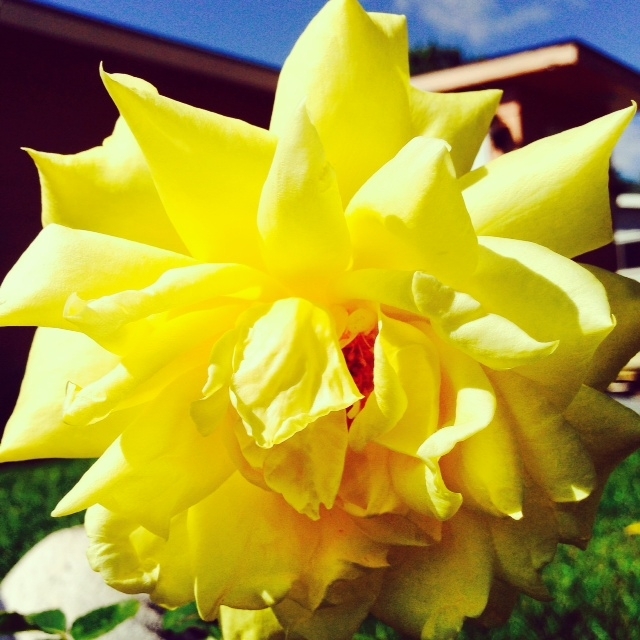 Enjoy your July and remember to slow down, stop, and savor summer while it is here. 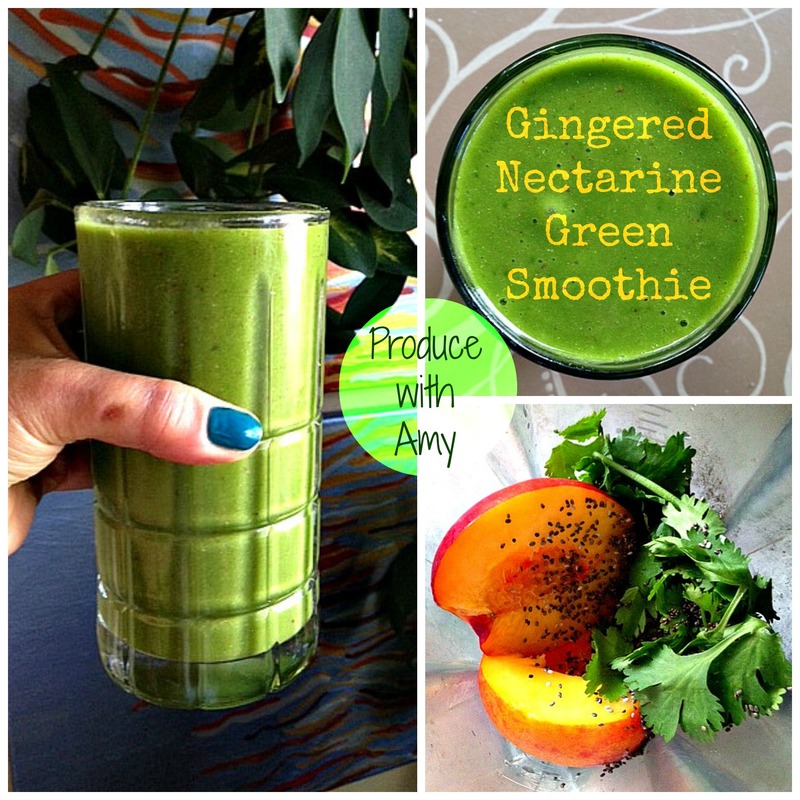 This entry was posted in Green Smoothies and tagged cilantro, Ginger, Green Smoothie, nectarine, Plant Based Green Smoothie, plant based smoothie, spinach, spinach smoothie, vegan smoothie, Vitamix by Amy. Bookmark the permalink.